Shayla Games on May 22-24 in Copenhagen, Denmark, is the biggest on-site VR Jam in the world. Fetch tickets and join us for all-VR talks, panels and expo on Friday afternoon, May 22. We will all start jamming Friday eve and go until Sunday. We have expanded our team of 3 to a larger crew and have invited a lot of VR geeky friends and this year’s event is stretched over 3 days. We will announce the talk program shortly (all talks are held on Friday, May 22). 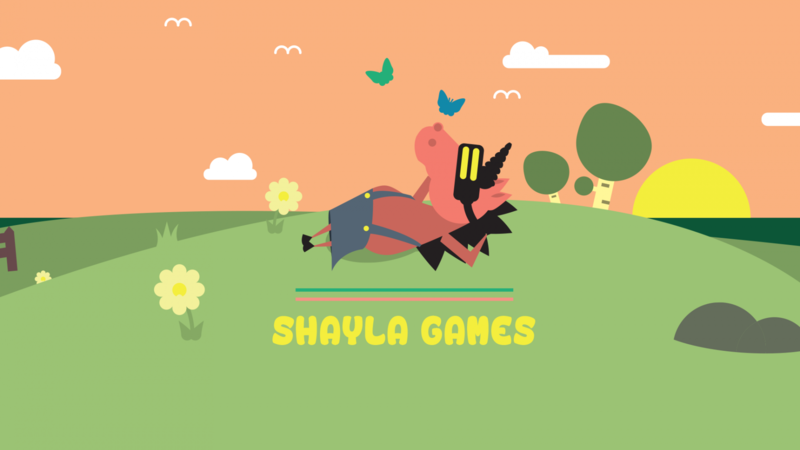 And yes, Shayla is also the name of Julie’s horse. The fat old grumpy horse that stepped on Julie’s toe and broke it the day after last year’s Shayla Games. We thought we would honor her by throwing yet another event in her name. Track event news on Facebook and Twitter. And tell your friends. See you in May! Shayla Games is hosted at the venue of our amazing partner: Aalborg University Copenhagen, A.C Meyers Vænge 15, in southwest Copenhagen (Sydhavn/South Harbor). Get directions here. Oh, wait!? I’ve heard about this craziness before! Julie Heyde and her car were hit by another driver in early 2014. She got a whiplash from it and was then put on sick leave by her doctor as the neck needed rest in order to heal. No work. No traveling. No fun. So while resting in bed she came to miss her friends a lot and thought it would be an excellent idea to gather them here in Copenhagen now that she was grounded. 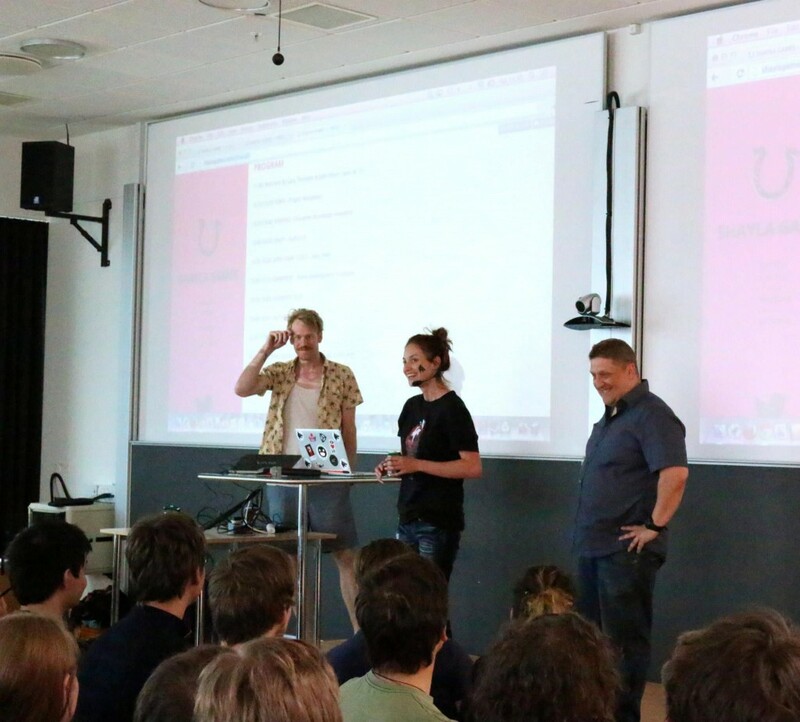 She called up Lars Reng and Thorsten Wiedemann and they thought it was a great idea too, and together the 3 created a 1-day event in Copenhagen at Aalborg University Copenhagen on May 24, 2014. The 2014 edition can be found here. 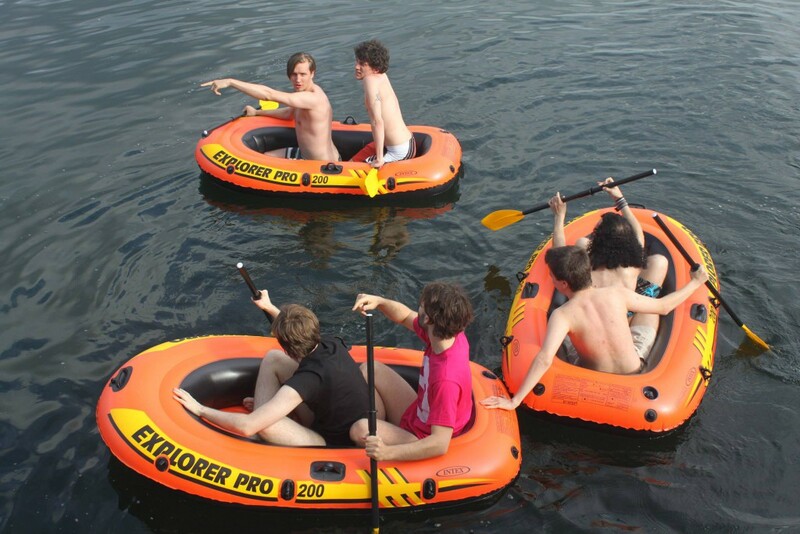 It was a lovely day with a lot of amazing friends, talks, games and a very competitive rubber dinghy race.